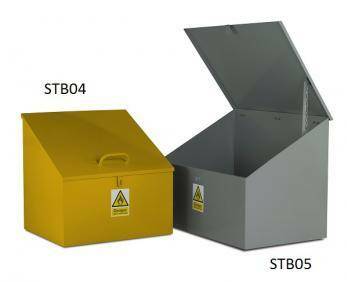 A robust solid steel construction with a yellow epoxy finish with clear identification marking , other colours are available ( simply select from the options ). 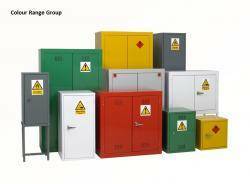 Our flat top flammable storage bins are manufactured complete with restraining arm an hinged lid, hasp and staple and drain plug with a highly visibile rectangular Flammable Liquid identification label. 3 generous sizes are available to suit your requirements simply select the size you require.